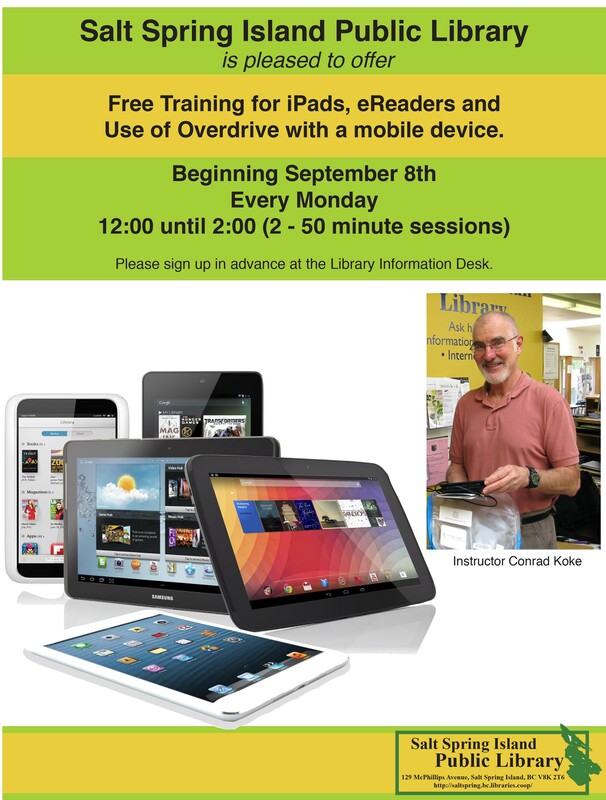 iPad, Tablet, eReader and basic Mac tutoring with Conrad Koke. Sign-up sheets are found in the Info Desk Programs binder. Sessions are available every Monday.